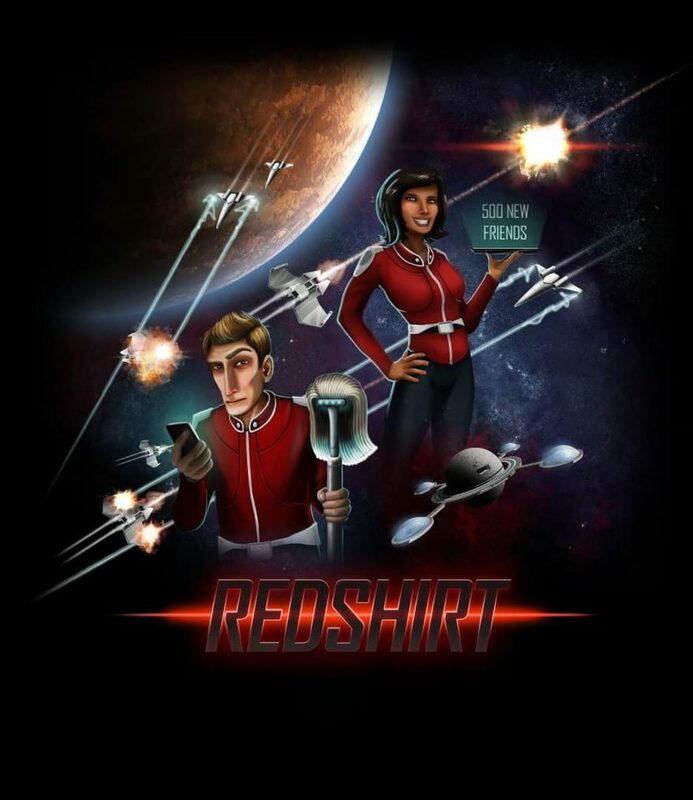 Redshirt is the comedy sci-fi sim about social networking aboard a space station, starring the station's most ambitious low-ranking peon: you! Navigate the professional and interpersonal politics of the ubiquitous "Spacebook" to curry favor among friends and colleagues. As intense intergalactic conflict rages around you, it's up to you to accrue those all-important "likes" on your status updates! Whether you're looking for love, opportunities for promotion, or even a chance to play Zero-G golf with the captain, you can schmooze your way through social circles and claw your way up the career ladder. Perhaps you too can finally achieve the dream of an off-station transfer, or even the Redshirt's opportunity of a lifetime: being sent on an away-mission!